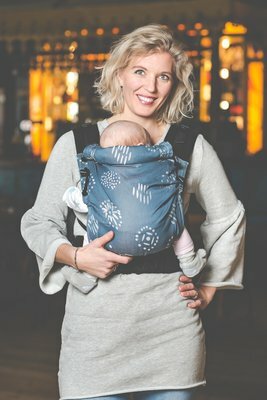 The 8 unique features of our ergonomic baby carrier makes it the perfect baby carrier for you! 1. Fully adjustable! You can adjust both width and length of the back. It support your child optimally! 2. 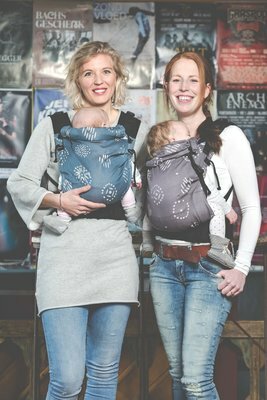 The baby carrier is available from size 50 to 86 and the standard from size 62 to 92/98! 3. 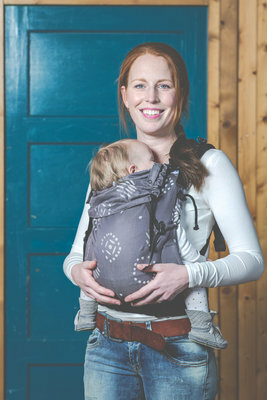 The baby carrier is made of ultra-soft baby sling fabric. Very comfortable! 4. 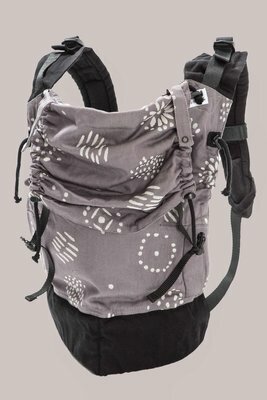 The baby carrier is suitable for any figure, as it is fully adjustable. 7. The shoulder straps go straight to the hip belt and won’t cut under your armpit. 8. You can carry your child either on belly or back. Back carry is recommended once your child can sit itself. The Pure Baby Love baby carrier have especially been developed for you. It’s a pleasure to carry with our baby carrier. The carrier has a perfect fit and is fully adjustable to any figure and child. You hardly feel your baby’s weight if you carry him/her. Nice to use at home and on the go! 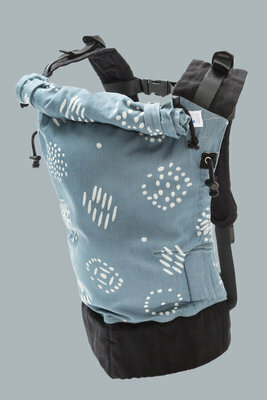 Our Pure Baby Love carrier is a 100% ergonomic baby carrier. What exactly do we mean with an ergonomic baby carrier? A good, ergonomic baby carrier fully supports both you and your baby. It has a perfect fit and keeps the weight of your baby close to you. 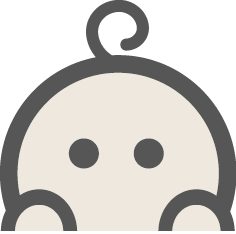 A baby carrier should support your baby from knee to knee, knees higher than the buttock. In addition, the natural bulging of the back should be preserved. A good neck support is important as well, as your baby’s head is still heavy and neck muscles must still be developed. The Pure Baby Love baby carrier is fully adjustable to fit your baby and is durable at the same time. You can carry your baby on either on your front or back. our advise in case of back carrying, only start once ypu baby is able to sit up. A good neck support is important for babies. You can use the sleeping hood to create a neck roll for optimal neck support. 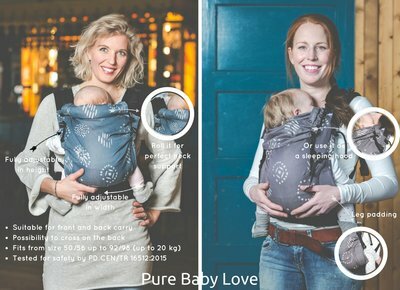 Do you have any questions about the Pure Baby Love baby carrier? Please, feel free to contact us.